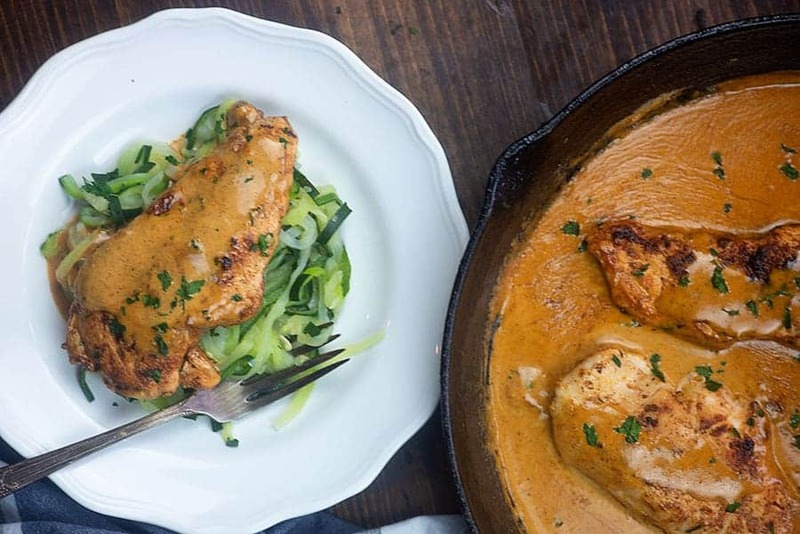 Chicken Lazone is an easy low carb chicken recipe that’s coated in loads of flavor and topped off with a cream sauce. We serve this over zucchini noodles, but it’s just as delicious on it‘s own too! 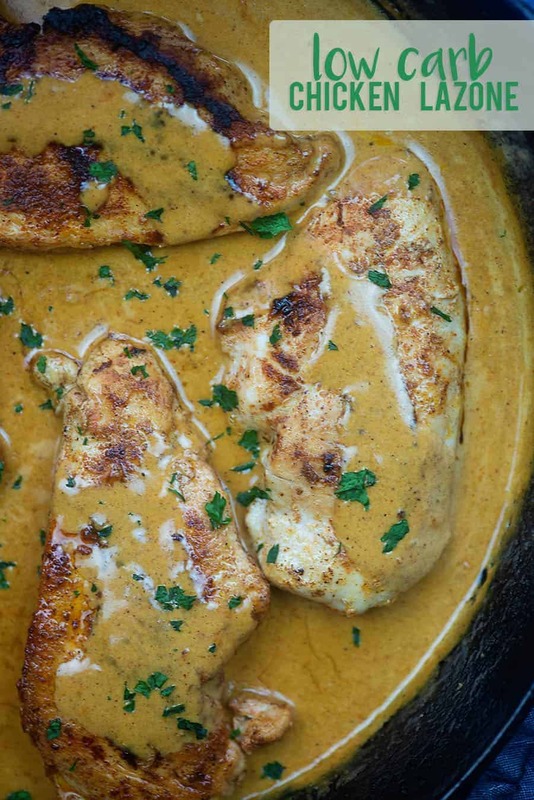 You’ll want to bathe in that creamy sauce! It’s the new year and I’m so excited about all of the hope and excitement and interest in low carb! I love that people are researching and trying out this way of eating. I think it’s so healthful and it just happens to be so delicious! Total win, right? Anyway, this Chicken Lazone recipe is one of those recipes that is perfect for feeding a family because it’s just naturally low in carbs. There are no funky ingredients and no one even realizes they’re eating a low carb meal! Love that. This is a New Orleans recipe so you know it’s packing some serious flavor, too. First up, we’re going to season our chicken breasts (or thighs, if you prefer) with a bunch of spices. The spice mix includes chili powder, onion powder, garlic powder, paprika, and salt. You should use about half of the spice mix for the chicken and then save the remainder for seasoning the sauce. 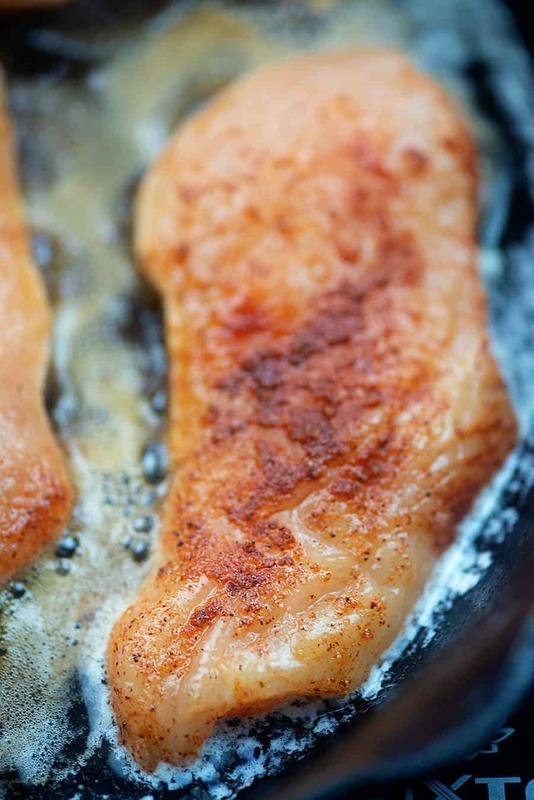 Once your chicken is seasoned with the spices, melt some butter in a large heavy-bottomed skillet. I use my cast iron skillet for this. Add the chicken to the skillet and cook on both sides until it’s cooked through. 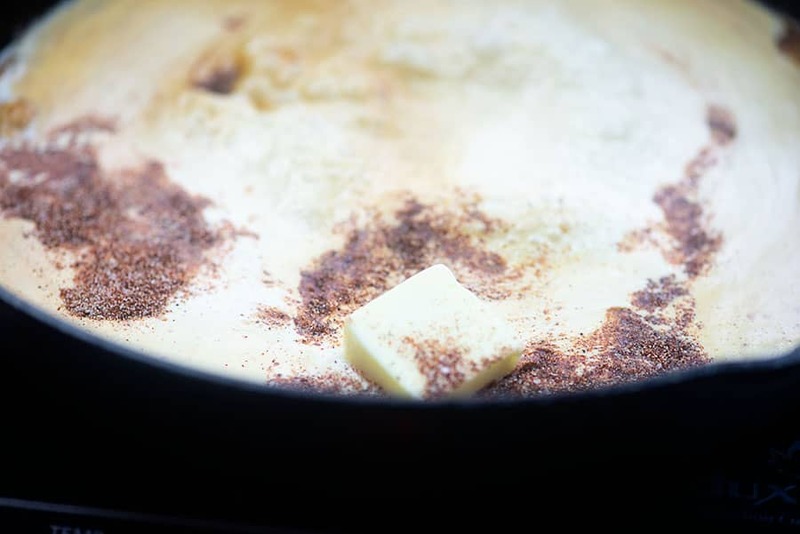 Add some heavy cream, butter, and the remaining spice mix to the skillet and whisk to combine. Let the sauce come to a boil and thicken up a bit and then add your chicken back in. Spoon some sauce over your chicken and get ready to dig in! 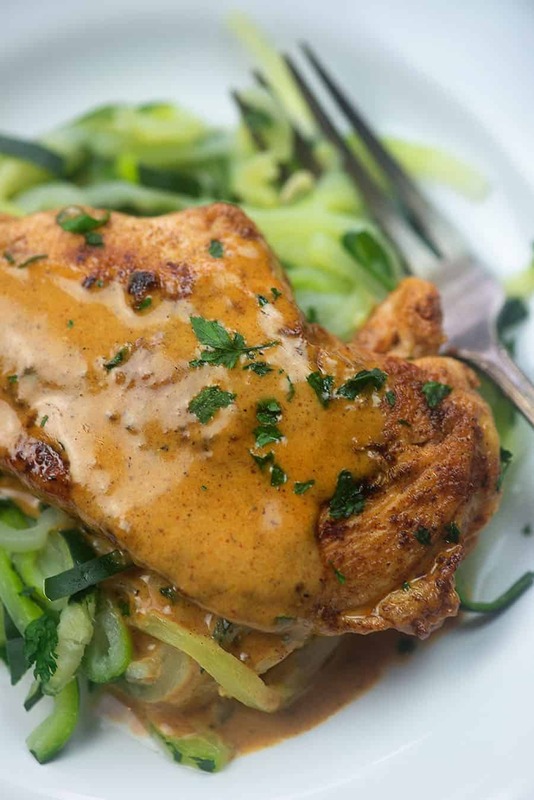 We like this chicken Lazone over zucchini noodles, but it’s also good on it’s own. However you serve it, I think your whole family is going to devour this one! It’s so flavorful! Crock Pot Roast: Wait til you see what I use to replace the potatoes! Brussels Sprout with Bacon: An easy low carb side dish! Low Carb Chicken Casserole: Even my kids eat the veggies in this one! Goulash: You won’t believe what I use to replace the macaroni! Chicken lazone is an easy flavorful chicken recipe that's ready in about 20 minutes! Add the salt, chili powder, onion powder, garlic powder, and paprika to a small bowl and stir to combine. 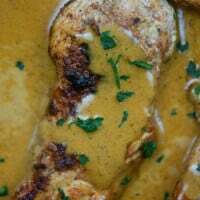 Sprinkle half of the spice mixture over both sides of the chicken breasts to season. Reserve remaining seasoning. Heat 2 tablespoons butter in a large skillet over medium heat until melted. Add the chicken breasts and cook for about 5 minutes per side or until cooked through. Add the heavy cream, remaining 2 tablespoons of butter, and reserved spice mix to the skillet. Whisk well to combine. Bring to a boil and let sauce thicken slightly, stirring often, about 2 minutes. Return chicken to the pan to coat with the sauce. Serve over zucchini noodles, if desired.